Lock in a great price for Apartment Piano – rated 9.8 by recent guests! 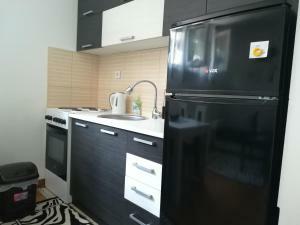 Apartment Piano, a property with a garden, is located in Vrnjačka Banja, 2.3 miles from Bridge of Love. Guests staying at this apartment can use the free WiFi. 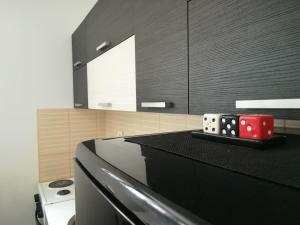 The apartment features 1 bedroom, a kitchen with a dining area, and a bathroom. A flat-screen TV is offered. This property also has one of the top-rated locations in Vrnjačka Banja! Guests are happier about it compared to other properties in the area. When would you like to stay at Apartment Piano? This apartment has a kitchen, mountain view and electric kettle. House Rules Apartment Piano takes special requests – add in the next step! Great place, location, and communication. Everything went smoothly. Place was clean and shows as on photos. Very quiet, new furniture and great facilities. It's very close to the center of the city and there is an outdoor swimming pool nearby. Highly recommended.